Jackson Sky was approached by Heartland Growers because their website was in need of a serious overhaul. The information on the site was not well organized (many pages were outdated, blank or missing), it was very difficult to update and overall it did nothing to convey their story of a thriving, expanding and philanthropic company. Their previous site also had very little photography, so having professional photography taken (by Navy Blue Photography) was the first – and necessary – step to bringing their new site to life. Jackson Sky incorporated the new photography as well as evaluated and reorganized the content on the new site, and a custom, responsive WordPress theme was developed – making the site optimized for all browser sizes and allowing the client to update the content on their own. 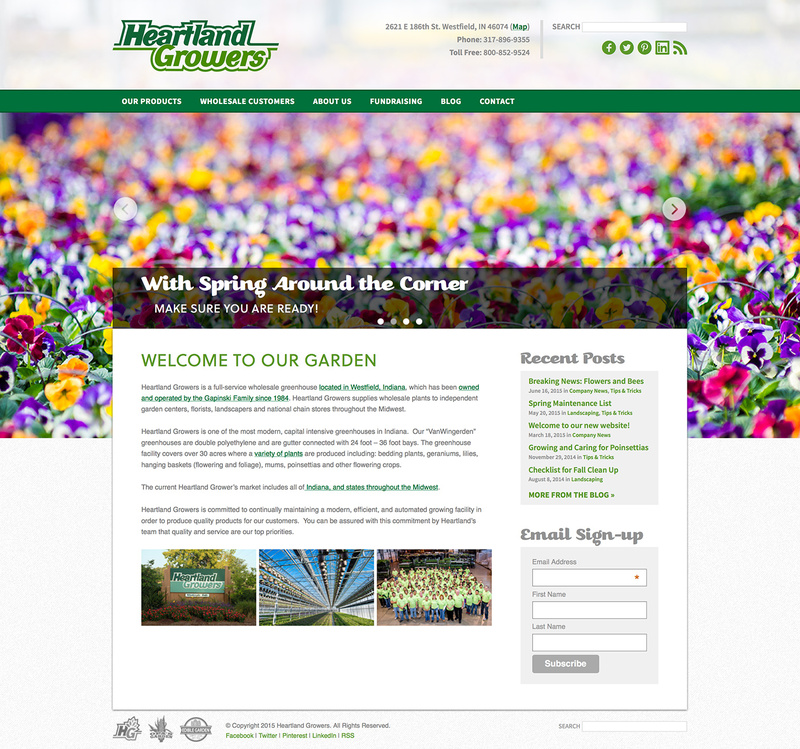 In addition to the website, Heartland Growers also needed a design to complement their existing established logo. They wanted something compact and versatile that could be used on social media as well as company apparel. The result was a simple, colorful mark that carried over many of the same elements of the logo and would work well in situations where the main (very horizontal) logo did not.